Will Logan Be the First Big Box Office Blockbuster of 2017? Universal Pictures' thriller Get Out took audiences by storm in its opening weekend, even out-grossing its debut estimate of $30.5 million with an actual debut of $33.5 million. It now sits at 99% on Rotten Tomatoes after one negative review surfaced yesterday, out of 143 in total, and now it looks to defend its crown against 20th Century Fox's Logan, Lionsgate's The Shack and Open Road Films' Before I Fall, and even if Get Out only suffers a minimal drop, it most likely won't repeat atop the box office. The top spot will most likely be overtaken with the highly-anticipated Logan, which is putting up some impressive numbers of its own on Rotten Tomatoes, ahead of its opening weekend. Logan is currently at 95% on Rotten Tomatoes, with 83 positive reviews and just four negative reviews, with Before I Fall also faring well with critics with 64% on RT, although there aren't enough reviews posted for The Shack quite yet. 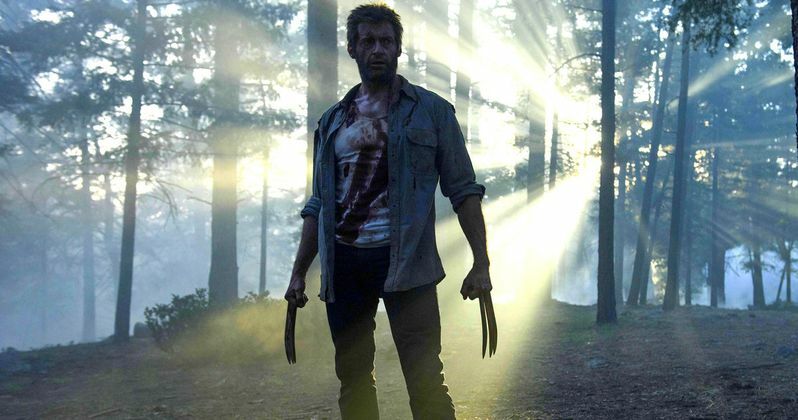 As far as opening weekend rollout, Logan, featuring Hugh Jackman's final performance as Wolverine, is opening in approximately 3,900 theaters this weekend, according to Box Office Mojo, which is certainly a hefty rollout, although it's still a bit shy of The LEGO Batman Movie's 4,057 theater count. Still, with the buzz swirling around Logan along with the critical acclaim and the fact that this is Hugh Jackman's last Wolverine movie, should add up to the movie opening huge, with a projected $68.5 million debut. IF that projection is accurate, it will fall just between the previous two stand-alone Wolverine movies. X-Men: Origins: Wolverine opened big with $85 million in 2009, before suffering a huge 69% drop in its second weekend, en route to a domestic total of $179.8 million and a worldwide tally of $373 million from a $150 million budget. 2013's The Wolverine fared a bit worse domestically, with a $53.1 million opening weekend en route to $132.5 million domestic, although it performed better in international markets with a worldwide total of $414.8 million worldwide, from a $120 million budget. No budget figures have been confirmed for Logan yet, but Hugh Jackman and company should have no trouble taking down its competition in opening weekend. We're predicting that Get Out will drop to second place with 20.1 million, which represents a second weekend drop of just under 40%, followed by the other two newcomers, The Shack ($12.6 million) and Before I Fall ($11.2 million) in third and fourth places respectively, with The LEGO Batman Movie rounding out the top 5 with $10.3 million. The top 10 will be rounded out by John Wick: Chapter 2 ($5.2 million), The Great Wall ($4.1 million), Fifty Shades Darker ($3.7 million), Fist Fight ($3.2 million), and La La Land ($2.4 million). In 2024 the mutant population has shrunk significantly and the X-Men have disbanded. Logan, whose power to self-heal is dwindling, has surrendered himself to alcohol and now earns a living as a chauffeur. He takes care of the ailing old Professor X whom he keeps hidden away. One day, a female stranger asks Logan to drive a girl named Laura to the Canadian border. At first he refuses, but the Professor has been waiting for a long time for her to appear. Laura possesses an extraordinary fighting prowess and is in many ways like Wolverine. She is pursued by sinister figures working for a powerful corporation; this is because her DNA contains the secret that connects her to Logan. A relentless pursuit begins ... In this third cinematic outing featuring the Marvel comic book character Wolverine we see the superheroes beset by everyday problems. They are aging, ailing and struggling to survive financially. A decrepit Logan is forced to ask himself if he can or even wants to put his remaining powers to good use. It would appear that in the near-future, the times in which they were able put the world to rights with razor sharp claws and telepathic powers are now over. Based on the New York Times best-selling novel, The Shack takes us on a father's uplifting spiritual journey. After suffering a family tragedy, Mack Phillips Sam Worthington spirals into a deep depression causing him to question his innermost beliefs. Facing a crisis of faith, he receives a mysterious letter urging him to an abandoned shack deep in the Oregon wilderness. Despite his doubts, Mack journeys to the shack and encounters an enigmatic trio of strangers led by a woman named Papa Octavia Spencer. Through this meeting, Mack finds important truths that will transform his understanding of his tragedy and change his life forever. What if you had only one day to change absolutely everything? Before I Fall centers on Samantha Kingston (Zoey Deutch), who has everything: the perfect friends, the perfect guy, and a seemingly perfect future. Then, everything changes. After one fateful night, Sam wakes up with no future at all. Trapped reliving the same day over and over, she begins to question just how perfect her life really was. As she begins to untangle the mystery of a life suddenly derailed, she must also unwind the secrets of the people closest to her, and discover the power of a single day to make a difference, not just in her own life, but in the lives of those around her--before she runs out of time for good. Also opening in limited release is The Orchard's comedy Donald Cried, Argot Pictures' documentary The Freedom to Marry, Vertical Entertainment's Headshot, Bleecker Street's The Last Word, Magnolia's My Scientology Movie, Fox Searchlight's Table 19 and IFC's Wolves. No theaters counts were given for any of these films, and it isn't clear if they plan on expanding in the weeks to come. Looking ahead to next weekend, Warner Bros. Kong: Skull Island is the only movie opening in wide release, along with limited release titles such as FIP's romantic comedy Badrinath Ki Dulhania, Parade Deck Films' The Dark Below, Brainstorm Media's dram The Other Half, Paladin's drama The Ottoman Lieutenant, IFC's thriller Personal Shopper, Focus World's horror film Raw, CBS Films' drama The Sense of an Ending and Strand's foreign drama Suntan. Take a look at our projections for the weekend of March 3, and check back Sunday for the box office estimates.